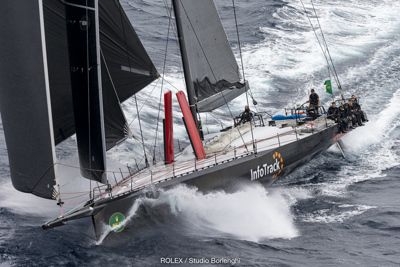 Claimed line honours in 2016 (as Perpetual Loyal) and in the process breaking the course record. She raced under current owner Christian Beck last year when she was fourth over the line but was relegated to 24th due to a rule infringement. Began life as Speedboat, then became Rambler 100 before Perpetual Loyal and now Beck has arranged a crew full of round the world heroes in Bouwe Bekking (Ned), Stu Bannatyne (NZ) and navigator Andrew Cape (Aus) who will be looking for a tough upwind bash to push this boat towards her second line honours title. Owner Beck was the 2017 Ernst & Young Entrepreneur of the Year and the founder of LEAP and InfoTrack, a technology company that provides tools for people and businesses.